How Should We Refer to the Chevalier D’Eon? Jerks, Shockers, and Lucky Dogs at the J.A.R. Was Marshfield a Tory Town? Yesterday the A.M.C. television channel announced that it had ordered ten more episodes of Turn: Washington’s Spies to make up a fourth and final season of the show. Though the series hasn’t earned stellar ratings or awards, it attracts a steady audience of the young and middle-aged consumers that advertisers like. There’s definitely an online community of fans, though I can’t say how its size compares to others. I’ve reviewed every episode of Turn for Den of Geek, and you can revisit my assessments here. If you haven’t watched the show, in each weekly review I tried to avoid giving away the biggest surprises of the latest episode, but I couldn’t keep the turns concealed in succeeding weeks. But of course anyone with a cursory knowledge of the Revolutionary War has a good idea about how the story of Gen. Benedict Arnold and Maj. John André worked out. U.S. history certainly provides such a story in the events of 1781. (Season 3 appears to have concluded in the winter of 1777-78, but Turn has always played loose with actual chronology, so the show could jump ahead as needed.) Throughout the first months of 1781, Gen. Henry Clinton inside New York and Gen. George Washington outside jockeyed for advantage. Late that summer, Washington concluded that he could strike a decisive blow against the British army by moving most of his army with Gen. Rochambeau’s French troops south to Virginia to attack the British general Cornwallis at Yorktown. That decision was preceded by months of espionage work, offering plenty of work for Maj. Benjamin Tallmadge and Oliver De Lancey, the New York-born British army officer who succeeded André as adjutant-general. Washington asked his agents for clues to whether Clinton would send more troops south or mount a major attack from the city. Likewise, Clinton’s intelligence staff wanted to know when Washington would make a move. Both sides tried to feed false information across the lines and made feints to deceive, distract, or draw off the other side. To keep the Americans busy in the north, Clinton ordered none other than Brig. 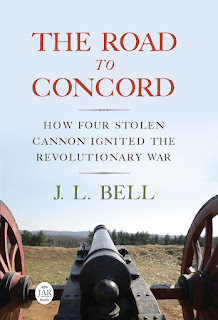 Gen. Arnold to lead a raid on New London, Connecticut. As a site of Continental naval operations, that coastal town was a legitimate target. That didn’t stop Americans from complaining that Arnold was driven by resentment toward the state where he had grown up. For Turn’s hotheaded Arnold, that motivation could be a real factor. Check out that essay for further thoughts on how Turn’s other regular characters could fit into those events and on some aspects of the Revolutionary War that the show hasn’t explored thoroughly.